Supported by our accounting department with more than 50 employees, who use high-performance accounting and administration software, we dedicate ourselves to managing your accounting needs, keeping your accounting records and preparing your periodic returns and VAT statements. Our strength: Our IT resources have been developed as the perfect answer to ever-changing accounting and tax regulations, without compromising our SME clients’ abilities to react and adapt. Accounting expertise is at the heart of our work. Working closely with our clients, we draw up commercial and fiscal balance sheets in strict compliance with accounting rules for optimum tax management. Our strength: Our thirty years of experience working in Luxembourg have given us an acutely developed knowledge of both the local market and the country’s fiscal and administrative structures. 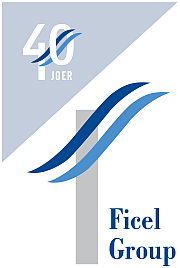 Operating in a sector that is constantly changing and growing more complex, Fiduciaire Centrale du Luxembourg has been able to develop an informative monitoring system based around a body of consultant experts, each a specialist in their own field. As such, our experts can guide you through business restructuring (mergers, divisions, start-ups and dissolution), tax optimisation and buying into companies. We guarantee you a bespoke tax consultancy service based on a tailored analysis of your specific situation. Our strength: We use an internal database alongside close interaction with Luxembourg’s institutions to make sure we always have the right information at the right time. Our vast experience working in Luxembourg gives us an unrivalled understanding of how the local economy works and makes us true specialists in supporting companies from the start-up phase through to acquisitions. We can also guide you through business valuation and help you find financing solutions. Our strength: We have working relationships with banks, financial institutions and state bodies such as the SNCI (Société Nationale de Crédit et d’Investissement). This is a position of privilege within our field, and we use it to our clients’ benefit.